Certification: ISO9001:2008, SGS, TUV, CFM, IFAI, etc. · Frame struss: hard pressed extruded aluminium 6061/T6(15HW) which can last more than 20 years. 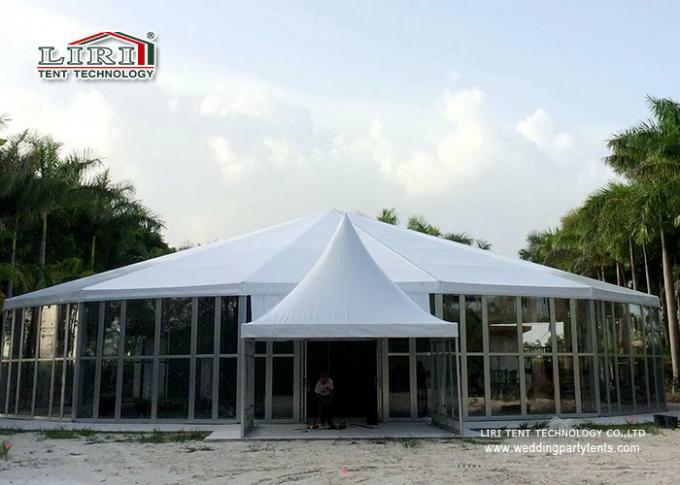 · Fabric cover: high quality double PVC-coated polyester textile, 100% waterproof, flame retardant to DIN4102 B1, M2, CFM, UV resistant, tear resistant, self-cleaning ability, etc. · Easy to be assembled and dismantled, movable. · No pole inside, 100% available interior space. Tents and marquees have a unique atmosphere. Set up temporarily or semi-permanently, or permanently for a single occasion, they are space apart from normal life, embodying the specialness of an event. Additionally, tents and marquees are very flexible. In a tent or marquee, anything is possible: long, square, L-shaped. Romantic, classic, themed…The bridge and groom can stamp their character on an event in any way they choose, unlike in a fixed venue where the decorative possibilities may be limited, and size and shape are fixed. 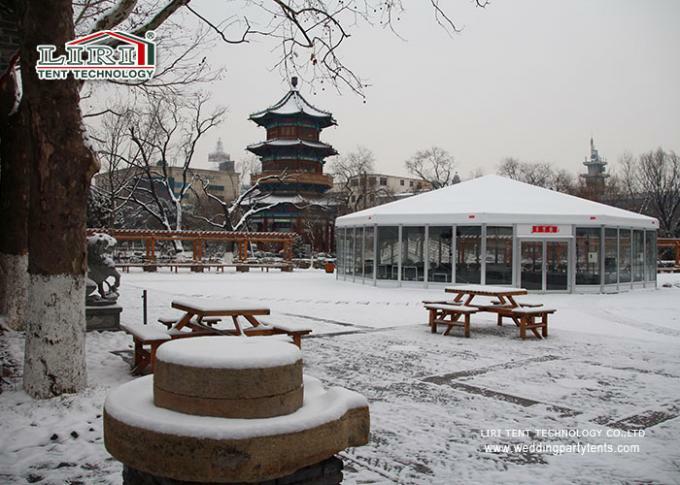 It is equipped with clear windows, decoration roof lining, inside curtain, pagoda tent entrance.The tent series are widely used as the party tent, wedding tent, exhibition tent, conference tent, festivals celebration tent, corporate events tent or other events, etc. · Other Optional Items: table, chair, lighting, AC, carpet, installation tools etc. 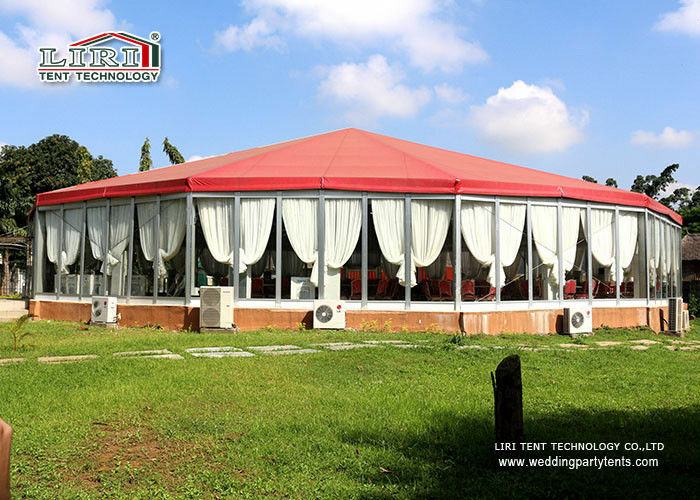 We are a one stop shop for all your tents, event party rental and wedding needs. For more details please Contact us Now! Fabric color: transparent, white, blue, red, green, yellow, black, silver grey, etc. Walling: glass wall,ABS hard wall,sandwich panel wall,etc.